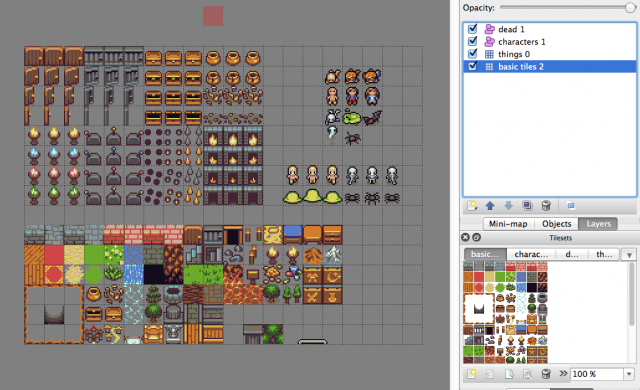 Edit 2015-04-24: This tutorial has been revised completely to cater for multiple tile/object layers. So far we have covered how to load CSV data and then parsing the loaded data. However, we assumed there’s only one layer; so if there is a player tile at (10,5), then there cannot be any ground tile behind it. And what if there’s an enemy that spawns on a specific grass tile? We would usually need layers. 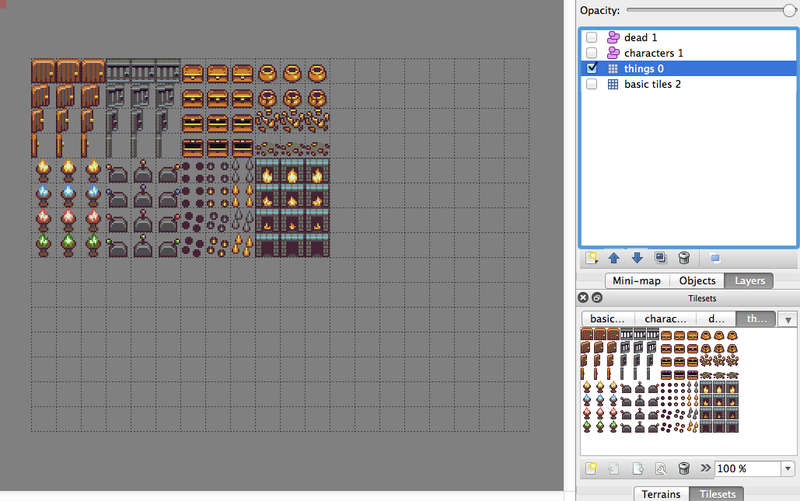 This is where Tiled Editor and the TMX file come in. 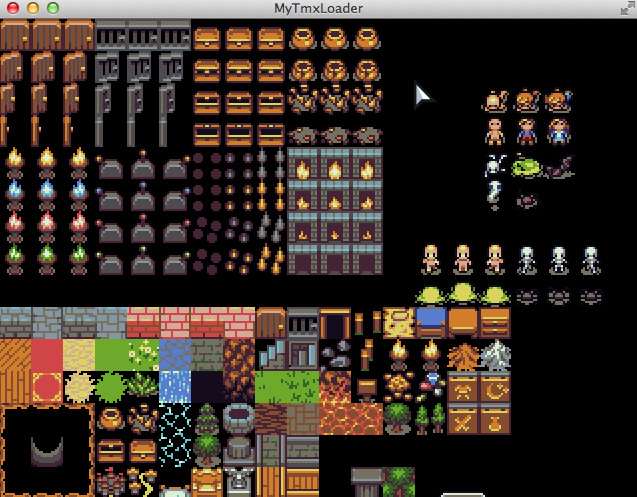 In order to load TMX data, you only need the TiledMap addon, flixel.addons.editors.tiled.TiledMap . Getting the layer data is quite flimsy: if the TMX format is in CSV, then you need to access the data via “csvData” property. If the TMX format is Base64, you need to access the data via “tileArray” property. I couldn’t get XML data from the TMX file, and since FlxTilemap isn’t able to parse XML data anyway, we’re only left with two choices. 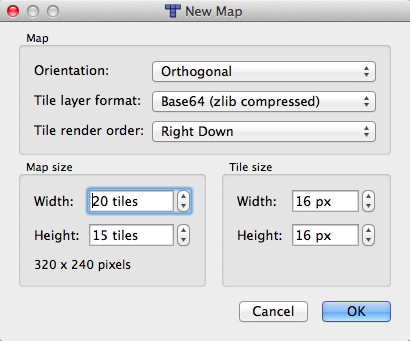 TiledMap only loads the TMX file’s data. You will have to parse the data yourself. TMX data loads two main parts of the file — the tileset list, and the layer list. 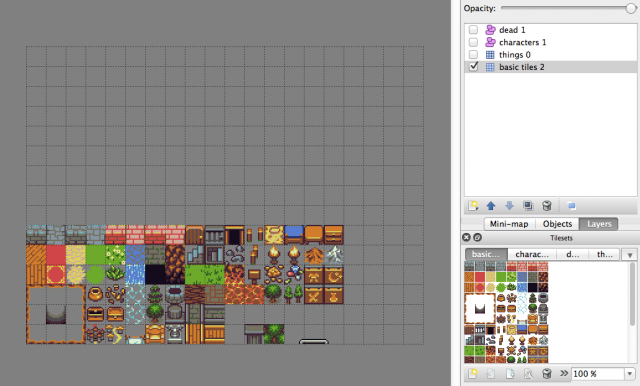 The tileset list contains all the tilesheet images that you used in the TMX map. 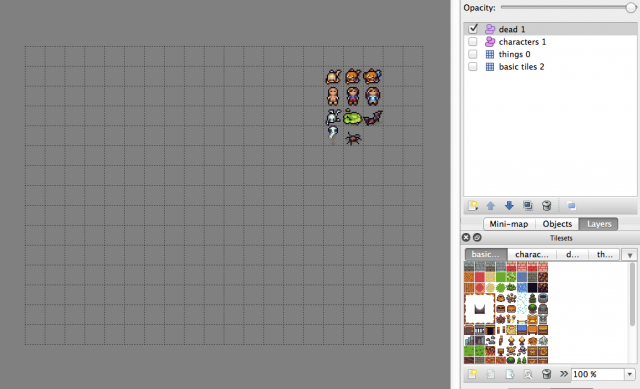 In Tiled Editor, you can import multiple different spritesheets and use them in one project. The layer list (if you saved the layer format as CSV) will contain an array of CSV data for each layer. This is just a more convenient way of saying the TMX file keeps multiple CSV data in one place. This is very important when proceeding with parsing TMX data. I struggled for a long time on figuring out an easy way to do this, until I realised the following limitations. 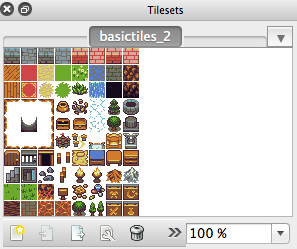 HaxeFlixel does not have any function (as far as I know) that supports loading a tile map which uses multiple tilesheets. As such, each layer can only have ONE tilesheet associated with it. 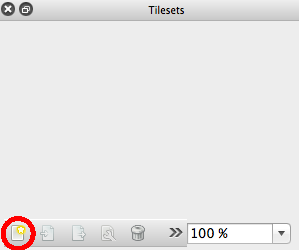 Layers in the TMX file also do NOT store info on which tilesheet is being used. 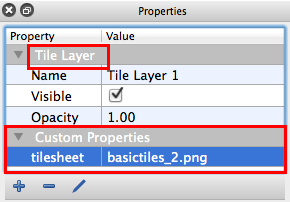 As a result, you need to add a custom property on each layer to explicitly store the name of the tilesheet you used for that layer. In short, TiledMap only extracts most of the important info you need from the TMX file. It’s entirely up to you regarding how you’ll use the data to generate and render the tile map. With the wisdom above, let us proceed. Put the images in your project’s /assets/images folder. 2) Add the image tilesheets (basictiles_2.png, characters_1.png, dead_1.png and things_0.png) to your project. 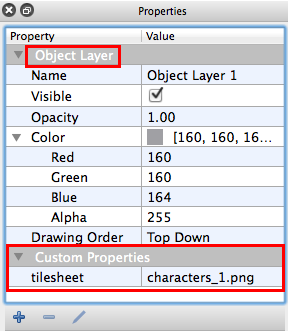 3) For the purpose of demonstrating multiple tile and object layers, let’s create two tile layers and two object layers. In my example below, I renamed the layers to match the tilesheet image’s name which I’ll use for each layer. 4) Add a custom property to the tile layers so that when we parse the data in HaxeFlixel later, we can know what tilesheet this layer is using. 5) Do the same for the object layers. 9) This step is optional. 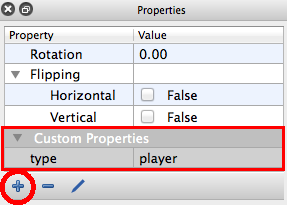 When you have specific object types in the object layer, such as “player”, “enemy”, “door” and “key”, you would normally do this — Select an arbitrary “player” object and add a custom property “type” to it, with the value “player”. We will use this value to parse it in TiledMap later. Without doing this, we won’t know how to identify different unique objects in the layer when we want to parse the data later. Repeat this step for other objects, such as enemies (“type” = “enemy”). 10) Save the file as something easy to remember, e.g. 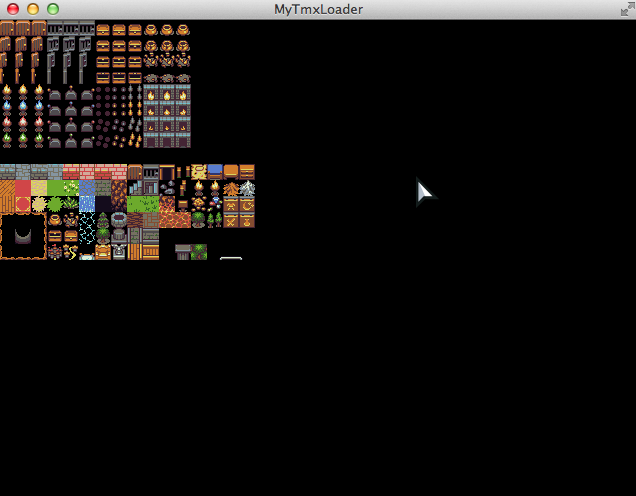 “my-map.tmx” Put the TMX file in the /assets/data folder. You’re now ready to load and parse the map data in HaxeFlixel! // TiledMap can only load data of type "String" or an "Array<Int>"
// types, so there is no need load or parse XML data. // the layer's data. 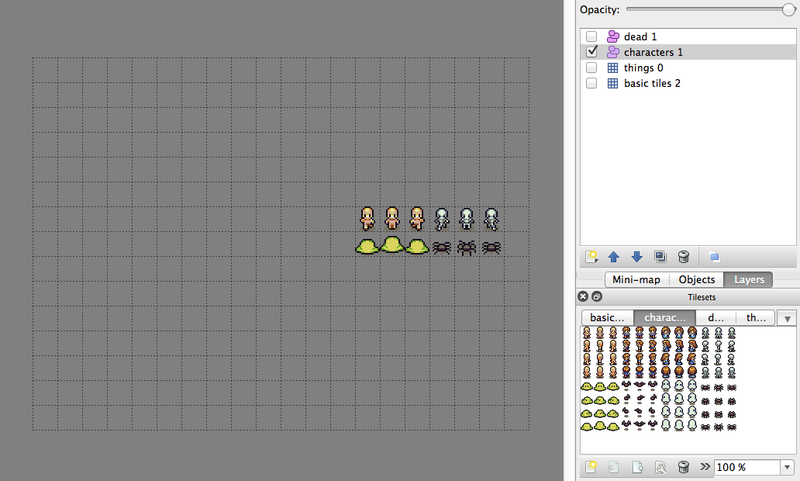 As such, we had to add a custom property "tilesheet"
// and include the tilesheet's name manually. 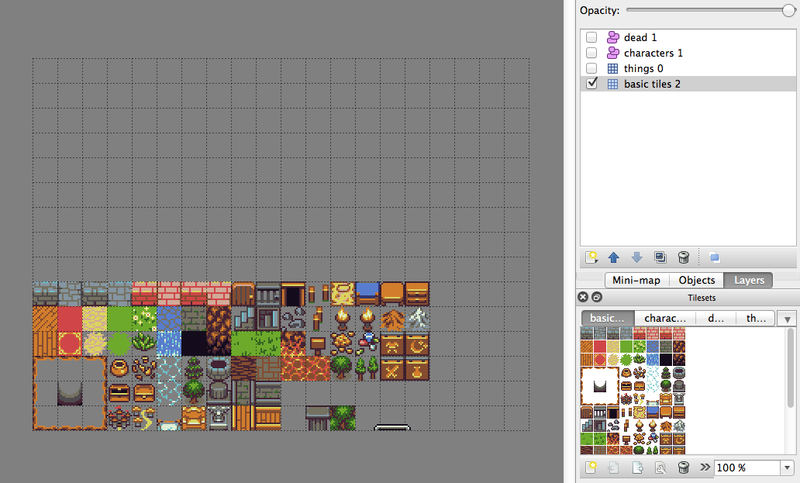 // Finally, create the FlxTilemap and get ready to render the map. // starting index right after the 1st tilesheet's last index. // startingGID rather than the default 1. 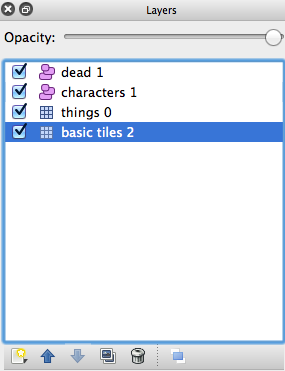 // Note: "0" is empty tile, so default to a non-empty "1" value. // extract the firstGID value. Oops, I forgot to set the screen resolution, but let’s assume you fixed that (change the gameWidth and gameHeight values in Main.hx). // Loop through each object layer and spawn the objects. 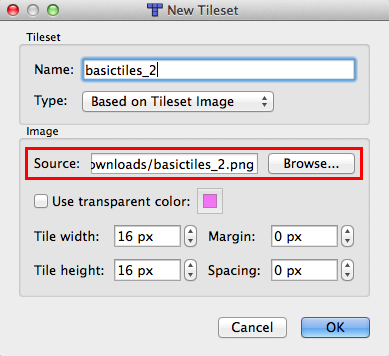 // NOTE: same as layer note above, regarding tilesheet indices. // the object's gid from the tilesheet's firstgid value. // For example purposes, all objects are regarded as same type. EDIT: Thanks to Keith for the info — If you’re familiar with some other languages (C++, C#, etc. ), you probably have this habit of ending every switch case with a break , like I do. However, in Haxe, switch cases do NOT fall through, as stated on the syntax page. In fact, if you add breaks in your switch case, it will end up exiting the while-loop or for-loop outside of the switch block. And now the positions are all correct!